Missy Payne was a survivor long before competing on the 29th season of the popular and long-standing CBS show, Survivor. For 39 days, this single mother lived in the Nicaraguan jungle, battling bugs, eating nothing but rice, enduring the heat and protecting her fellow competitor and daughter, Baylor Wilson. As one of the last three standing for Survivor: Blood vs. Water, Missy walked away inspired to use her experience to transform lives. She started the nonprofit organization, Cheer 4 Your Life, to financially and emotionally support teens find and pursue their dreams. She has just published The Invisible 7: A Survivor’s Guide to Awesomeness, an interactive workbook to encourage youth and adults to live a life of service to others. Read our interview with Missy as she discusses her experience on Survivor, her upcoming “It’s a Jungle Out There & ‘18 Warriors Games and why challenging ourselves helps create a servant’s heart. I am an independent thinker, an innovative creator and a passionate leader. You have a new book, The Invisible 7, an interactive workbook that teaches people how to be the ultimate survivor and serve their communities. What are the “Invisible 7” and how do they play a role in developing a heart to serve others? The seven character traits mentioned in the book are equality, humility, integrity, resilience, self-discipline, compassion and generosity. We are all born with these character traits, they are in our hearts. For most people when you strip away all of the exterior such as skin color, appearance and socioeconomic level, at the heart of the matter we all want to be valued. If we live by these traits, that naturally occurs in our relationships. I came up with these traits because of my own experiences in relationships, life and on Survivor. Describe some of the interactive challenges presented in the book. There are two versions of the book, one for adults and one for teenagers. I wrote the challenges originally for teenagers. The teenagers were doing the challenges and giving their testimonies, making the adults want challenges for themselves, so I did an adult version so that the challenges are more suited to an adult lifestyle vs a student’s. One of the challenges that we give that seems so simple, yet it is hard for so many, is to get to school or work 30 minutes early and hold the door open for everybody. One little girl said that going to school and holding the door for everyone was hard because we don’t relate to each other anymore, we interact through our phones, so having to make eye contact and smile at people she didn’t necessarily know was awkward. One of my teen boy’s testimony was that a girl rolled up with her mom and it was obvious that the mother and daughter had been arguing. The girl had to get out of the car and make her way through the doors. Throughout the day he had compassion for her. What inspired you to write The Invisible 7? In my past I have been a teacher and a coach and a single mom. It’s pretty humbling to ask for help. We often try to do things by ourselves instead of being vulnerable and ask for help. Talk about team building, on Survivor you are building a team with people you don’t really like in a place you don’t want to be. There were many times on the show we would be sitting around watching the sunset so I had quite a bit of alone time. I was thinking of ways I could take all that I was learning back with me. I was already running my cheerleader competition camp and I thought, “How can I leverage my status to do something positive?” I knew I really wanted to go home and share this. My brother gave me the biggest compliment. He told me, “You made it to the top 3 of one of the most grueling reality shows without compromising your integrity.” Long before Survivor I was surviving, but the show was the culmination of the tipping point for me. I had no idea what I was up against. When I got back I started to write a book. We were all out there sleeping on the ground not taking showers or brushing our teeth. I understand what the homeless community feels like now. I want to give people a taste of some of the challenges we had. People learn through experiences so The Invisible 7 is how I can give back on a broad scale. You were a contestant on Survivor with your daughter, Baylor. Describe that experience. What was the best and most challenging part about competing with your daughter? I wanted to change the name of the show to “Everybody’s a Liar.” Having your blood relative on the show you know there is one person who will tell you the truth and have your back. The most challenging part was, I was the mom. Not just to Baylor, I was the metaphoric mom to everyone. Baylor was the youngest contestant and I was the oldest. When everyone was picking on Baylor it was hard for me to not slap them. We ended up on the same tribe and I carried her the rest of the way. We made it the furthest as a couple. I was super proud of that. It was so challenging when people started talking bad about my kid in front of me. When people ask me if I would you go back and play again I say I absolutely I could do it, but not with Baylor. If I went back, it would be to win and that means having a singular focus on yourself and your game. Tell us about your organization Cheer 4 Your Life. What is its purpose and who do you serve? Cheer 4 Your Life offers emotional and financial support to teens who are already in an activity that uses their God given talents. We come alongside them to help fund their activities to pursue their passions. We have soccer players, dancers, singers and even a ski racer in Colorado. I told the board of directors that I didn’t want to cater to just one income group. I wanted to look at each story on an individual basis. Our ski racer has a two-parent home but they aren’t rich and ski racing is a very expensive sport. There’s a very good chance this kid is going to make the US Olympic Ski Team one day and we will have played a role in helping his fulfil that goal. We also help pay for things like registration and entry fees. Some of the kids need travel fees paid to get to competitions. It has been a really unique experience. I feel like teens are a forgotten niche. They may be young adults, but they aren’t fully self-sufficient yet. They are still in need of guidance and support. We want to come alongside them and do that. We have about twelve kids a year that we fund. I love that I get to watch them do their craft. You have “It’s a Jungle Out There & ‘18 Warriors Games coming up on August 25. What can participants expect from this event? How can they get involved? On Friday, August 24 there will be a meet and greet for the celebrities at Hotel Indigo where people can take pictures and get autographs. The celebrities will have their first challenge. We will allow the public to race one of the celebrities on one of the very first obstacles. Saturday, August 25 will be two events in one day: The Warriors Games is an obstacle course tournament that allows teens who have done challenges from the Invisible 7 to compete as well as the kids we scholarship. 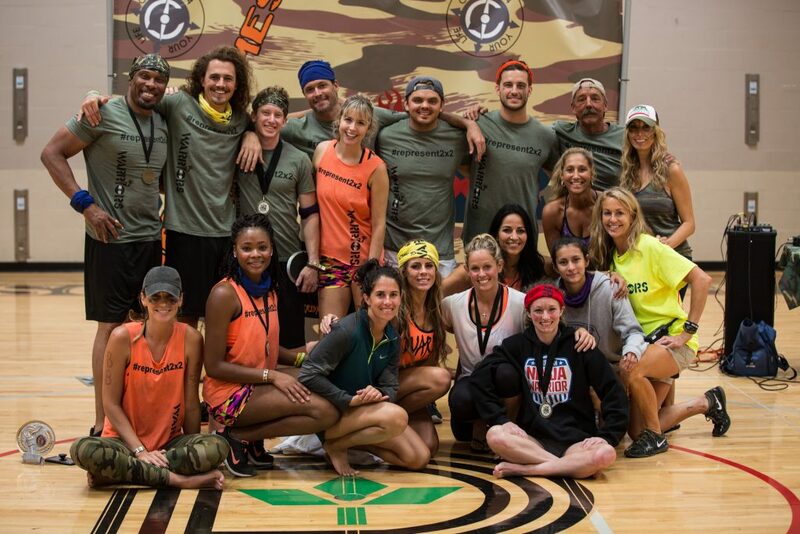 We also have celebrities from reality competition television shows like Big Brother, The Amazing Race, and of course, Survivor, show up to entertain the guests. People compete during the day and then come back for a jungle themed party that night. We have animals and we have kids who sing and dance. We hear stories from the teens who are in sports and other activities. Guests get to mix and mingle with all of the celebrities and we also have a live auction. It’s just a really fun party. The event is casual so people can wear shorts and girls can wear sun dresses. We want people to have a good time. Tickets range from $25 to $100 for the games and go up from there. What’s next for Missy Payne? I want to take this show on the road. I have invested in a trailer to load up the obstacle courses to take it to schools and companies, so they can set up their own games or team building events. When you complete a challenge in the book you get a certain amount of points. Because everyone loves awards… I have also started doing quite a bit of speaking to corporations who want to use me to promote team building and improve company culture. I am on a mission to encourage kindness and giving and we will see where it leads me! For more information about the Invisible 7 and Cheer 4 Your Life, visit https://www.c4yl.com.